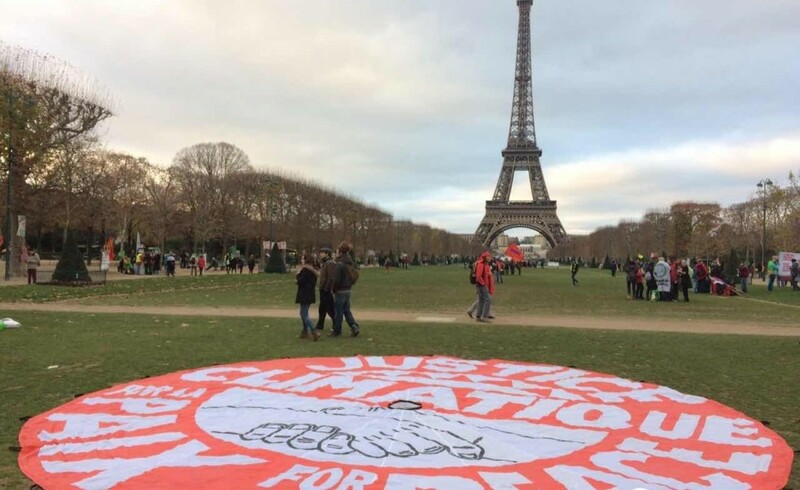 A grande view of the Eiffel Tower at the civil society rally on the last day of COP21. 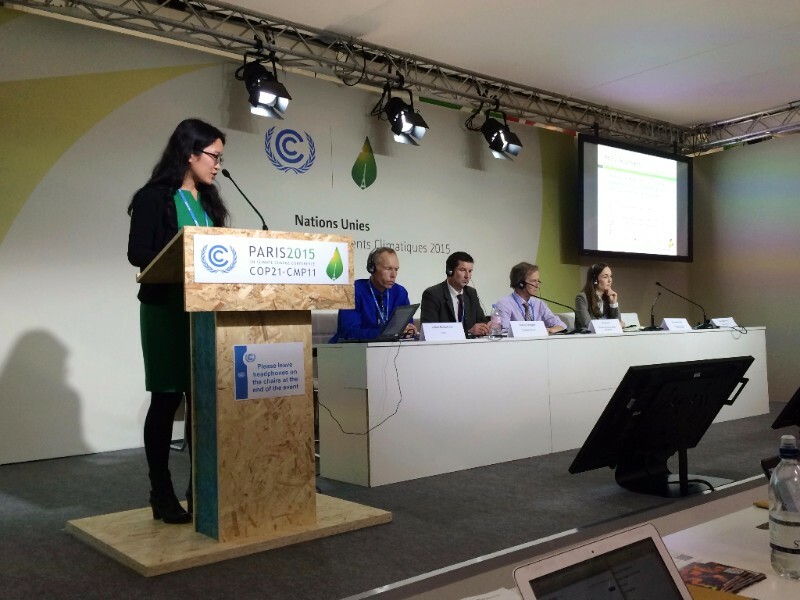 This blog is part of Wanqing Zhou’s longer report on her work at COP21 in Paris, France in December 2015. To read that longer blog entry, click here. One of Wanqing’s climate-friendly meals in Paris. 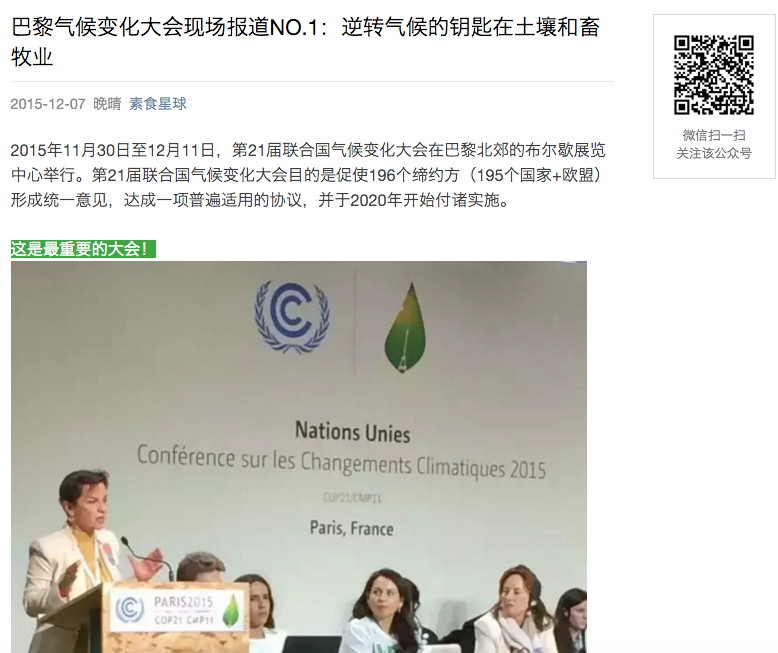 VegPlanet post including Wanqing’s coverage from COP21. 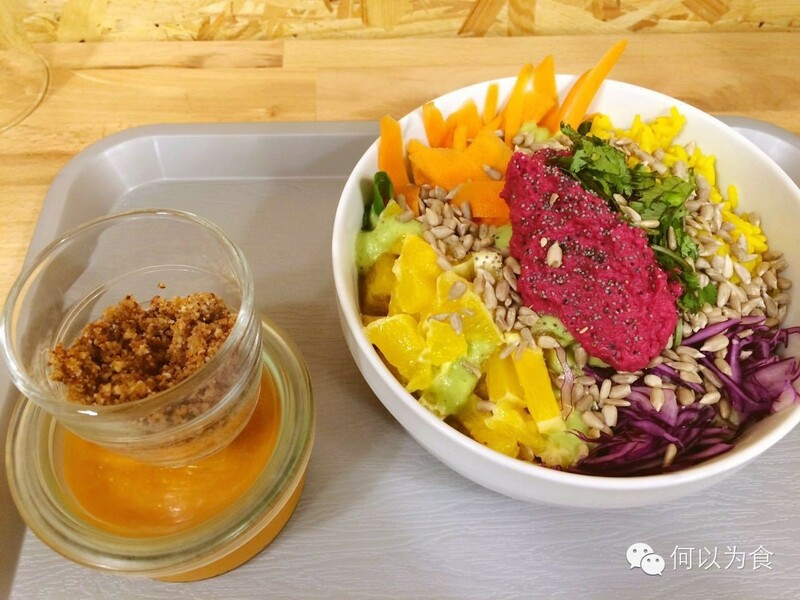 On December 7, excerpts from the first week of group discussion were edited into a WeChat article and posted on VegPlanet, the largest vegan online platform in China, and reached nearly 1800 readers. It is encouraging to see the general public becoming increasingly concerned about the problems of livestock production and overconsumption, and sharing their opinions openly using information technologies to benefit more people. 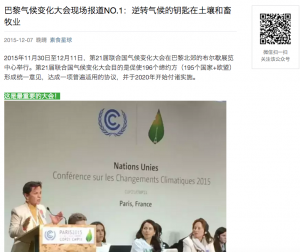 One year after we launched the WeChat Monthly Global Dialogue, our readership and volunteer group continues to grow, and we are seeing richer involvement in the discussion. Looking forward, activities like this are leading towards not only raised awareness, but also real actions for a more sustainable food system.